The addition of new technology will build a bridge between 4-H’s history and its young visitors. Rather than presenting static displays of memorabilia, innovative exhibits will engage visitors in the legacy of 4-H and its impact on Mississippi. Flat-panel screens paired with audio bubbles that focus sound down onto small groups enable guests to hear recorded information without distracting other visitors in the room. Touch-screen computers with interactive programs that teach about 4-H will allow visitors to explore the youth program through a modern platform. “The goal of this technology is to better enable us to tell the 4-H story. These video productions will allow teachers to bring classes through the museum and give kids a chance to experience 4-H without requiring a full-time staff,” said Morris Houston, Mississippi State University Extension Service 4-H development officer. The 4-H learning center receives about 36,000 student visitors per year, mostly from urban and suburban environments. To better share the stories related to the artifacts and events highlighted in the museum, the new exhibits focus on personal connections. The most popular exhibit since the learning center opened in 2007, the life-size fiberglass cow named MS Cloverbelle, has a new stall in the literacy area. In addition to the museum space, the 2,000-square-foot facility houses a multi-purpose room used for educational activities. A high-tech display that demonstrates the relationships between different types of soil, wells and aquifers shares space with a portable computer lab for use in environmental education programs. “The goal of the renovation is to create a place where teachers and children can see connections between agriculture, their everyday lives, and the activities 4-H offers Mississippi’s young people,” Houston said. State 4-H program leader Susan Holder agreed. “We also wanted to envision the future: where is 4-H going? The museum’s use of technology shows that 4-H is about science, robotics and child-centered experiences in addition to agriculture. Technology also enables us take rural America to a larger audience through the internet,” she said. Visitors to the museum will receive information about online lesson plans, interactive learning games, digital archives and social media. These new learning opportunities send the message that 4-H empowers young people to reach their full potential by offering hands-on learning, research-based youth programs and adult mentors who encourage responsibility and community service. 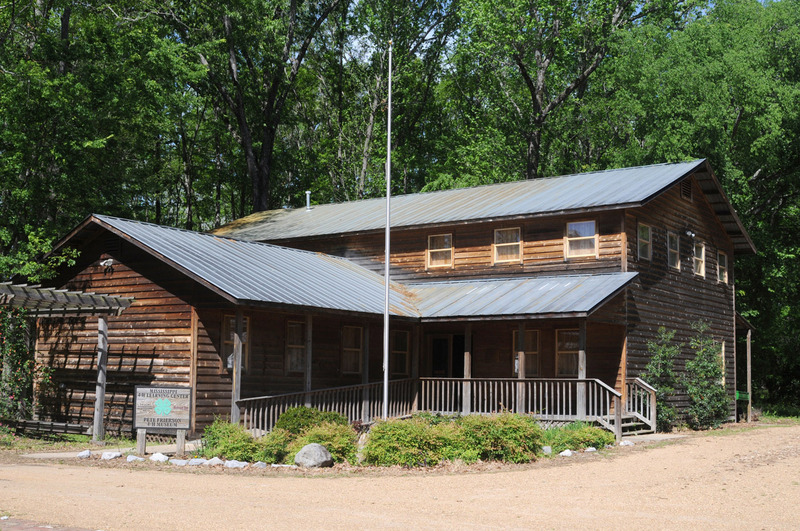 In the “Small Town Mississippi” area, where the 4-H learning center is located, visitors can explore the museum’s grounds and see gardens planted with vegetables and walk through a barn for a closer look at chickens and other farm animals.